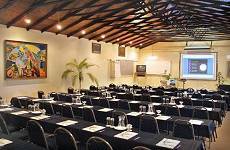 The conference centre is a modern facility, fully equipped and air-conditioned. This is an ideal venue for breakaways, conferences, teambuilding and social events. 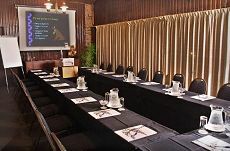 The following equipment is on offer: Data Projector, Overhead Projectors, Public address and sound systems, Roving and table stand microphones, Wall and tripod screens, White and pinning boards, Television and VCR, Flipchart stands and rails, Podium and conference trolleys, and Chair covers Linen.